Another fun workshop in Japanese Woodblock with beautiful work produced by first-time printers! I'm always amazed by the unique look of the end prints - truly customised through each student's unique carving and printing technique. Fabulous gifts just in time for Christmas! And a lovely way to spend some time on oneself - art meditation? 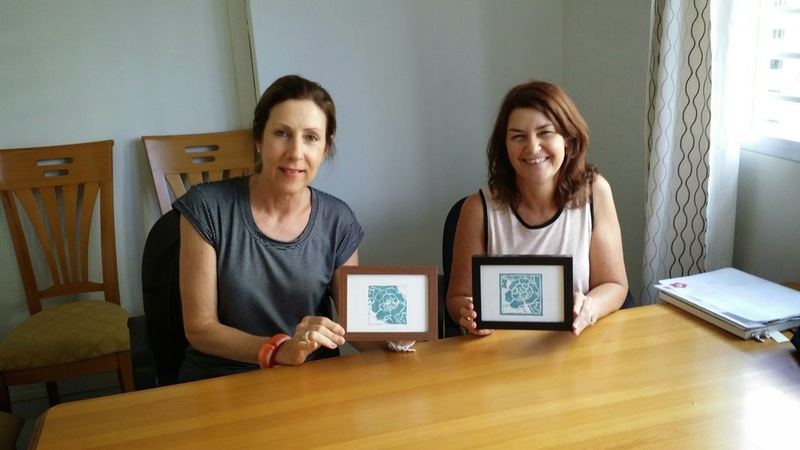 Graduates of Japanese Woodblock Beginner workshop! Carving the block...and resisting the temptation to tear off those little hanging bits! Proofing the block...all good practice for the next step of using professional washi paper.